Cynthia Barnett is an award-winning environmental journalist who has reported on water from the Suwannee River to Singapore. 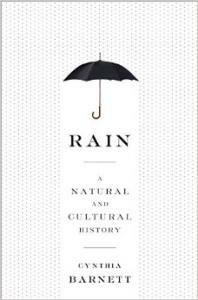 Her latest book is Rain: A Natural and Cultural History, longlisted for the National Book Award and a finalist for the 2016 PEN/E.O. Wilson Literary Science Writing Award. Ms. Barnett is also the author of Blue Revolution: Unmaking America’s Water Crisis, which articulates a water ethic for America. 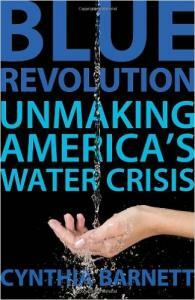 Blue Revolution was named by The Boston Globe as one of the top 10 science books of 2011. The Globe describes Ms. Barnett’s author persona as "part journalist, part mom, part historian, and part optimist." The Los Angeles Times writes that she "takes us back to the origins of our water in much the same way, with much the same vividness and compassion as Michael Pollan led us from our kitchens to potato fields and feed lots of modern agribusiness." Ms. Barnett has written for the New York Times, Los Angeles Times, Wall Street Journal, the Atlantic, Discover magazine, Salon, Politico, Orion, Ensia and many other publications. Her numerous journalism awards include a national Sigma Delta Chi prize for investigative magazine reporting and eight Green Eyeshades, which recognize outstanding journalism in 11 southeastern states. She earned her bachelor’s degree in journalism and master's in American history with a specialization in environmental history, and was a Knight-Wallace Fellow at the University of Michigan, where she spent a year studying freshwater. Ms. Barnett teaches environmental journalism and nature and adventure writing at the University of Florida's College of Journalism and Communications in Gainesville, where she lives with her husband and children.